This forum looked at better ways the oil and gas industry can manage methane leaks from gas wells and facilities - and find commercially viable alternatives to flaring. On the subject of methane leaks, the oil and gas industry is under pressure to demonstrate that the methane leaks from gas wells and processing facilities are low – in order to show that electricity from gas generation is better in global warming terms than electricity from coal. Environmental groups have been claiming that methane leaks are so big it is scarcely better. 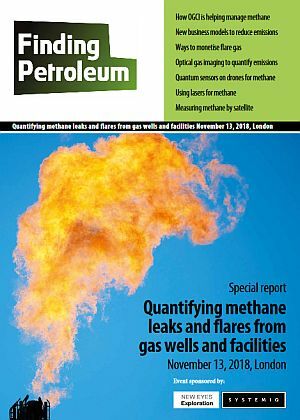 Measuring methane emissions from an entire facility is very hard because it involves either finding, assessing every leak (including guessing when the leak started), or analysing methane in the air above the whole facility by satellite or laser (which also leads to more questions). But the task proves a great match for the oil and gas geophysicist’s skillset, including physics understanding of how the various sensors work and what they tell you (sniffer, ultrasonic, gas imaging, different types of laser), the ability to put data together to create a facility-wide picture using geographical positioning and data management techniques. On the subject of flaring, we'll look at commercially viable alternatives to flaring - ways of doing something useful with gas, which can work with intermittent or small gas flows.